Are you looking for a certified pre-owned vehicle that has all of the innovative technology and safety features, as well as, the luxury interior of a brand new vehicle? Look no further than at Riverside Buick GMC! We offer a large inventory of Buick, GMC certified pre-owned cars that not only provide the features you’re looking for, but they also come at an affordable price point. 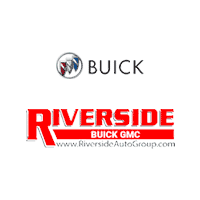 Why Buy a Certified Pre-Owned Vehicle from Riverside Buick GMC? A free CARFAX Vehicle History report so you know you’re Buick, GMC doesn’t have any DMV-reported incidents. To help with the stress of buying a car, visit our Finance department to learn about our financing options, and our pre-owned vehicle specials. Acworth car buyers can rest easy knowing they’re in great hands at our dealership! Contact us today with any questions you have about our CPO inventory, or to schedule a test drive. See your estimated monthly payments, and your trade-in value online! We work hard to ensure your car buying experience is completely hasslefree!